Obituary for Judy Theresa LILLINGTON | Cherished Memories Funeral Services Ltd. It is with great sorrow that we announce the passing of our beloved Mother and Nana, Judy Theresa Lillington. Judy was born October 3, 1955 in Vancouver BC and raised in Nelson and Golden before settling in Fernie to raise her family. She had a passion for the Arts and loved performing in various events including Expo ’86 and BC Mainstage Festival in 1996. 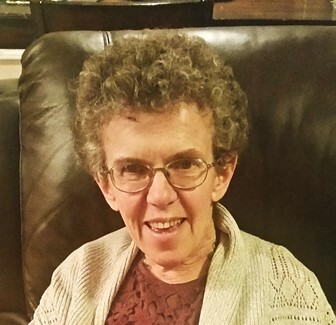 Judy was an active member of the Catholic church, an avid volunteer and was always involved in the community. She was selfless, kind, and loving, with a smile and energy that could brighten any room. After a long battle with her health, she peacefully passed away on January 31, 2019 with her son and daughter by her side. She was well loved and will be forever remembered by her family and many friends. She is predeceased by her father Jim Molloy, mother Toddy Molloy (Coffey), and her ex-husband and father of her children Tom Lillington. She is survived by her children Theresa Molenaar (Tyler) and James Lillington (Kimberly); her grandchildren Madelyn, Jaxton, Rilynn, Brielle, and Carissa; siblings Mike (Jo), Cam (Kristy), Maureen (Doug) and Pat (Cheryl); as well as many nieces, nephews, and cousins. For those touched by her life, a funeral service will be held at the Holy Family Parish in Fernie BC on February 9th at 2pm, with luncheon and tribute to follow. Donations, in lieu of flowers, can be made to the Canadian Mental Health Association or Hydrocephalus Canada.